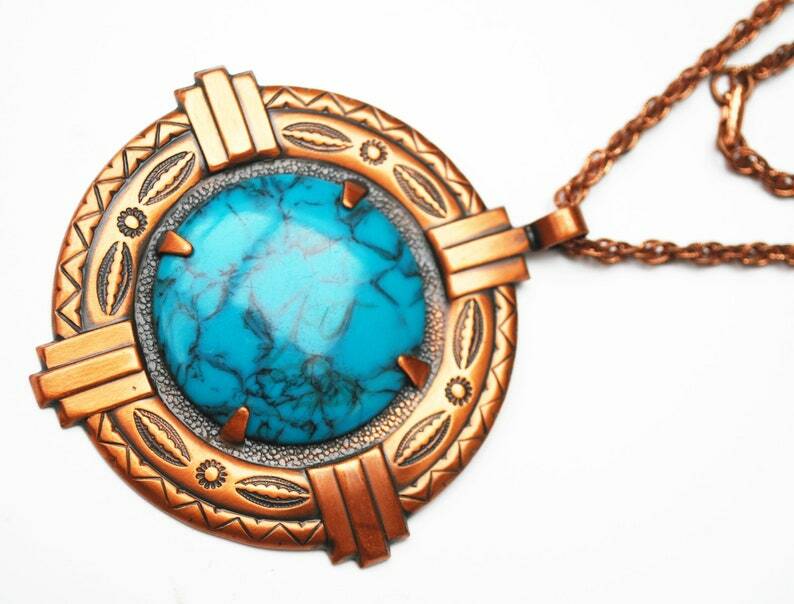 The Pendant is made of solid copper with a southwestern tribal design on it .The blue and black round stones is glass. the size of the pendant is 3 inches X 2 7/8 inch. the pendant is in good vintage condition.